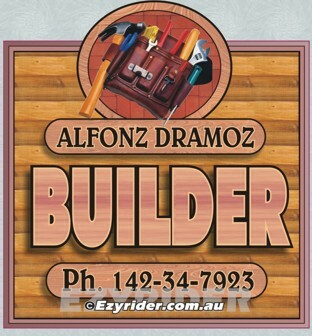 ﻿ Business Trade Signs, Designs, Graphics - Pictures & Information.h prices. 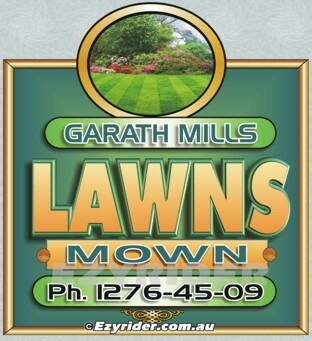 These trade signs and designs have concentrated on readability and 'appropriateness". That is, each trade design was designed with a feel for the particular trade in question. A sign, I believe, needs to create an interest/emotion within a prospective client and this then reflects within the professionalism of your business. However, it also needs to be 'readable'. Combining all aspects requires design thought. 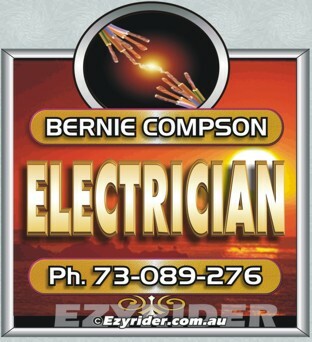 They've been specifically designed for the private tradesperson that works from home. They have also been designed for a triad of uses. 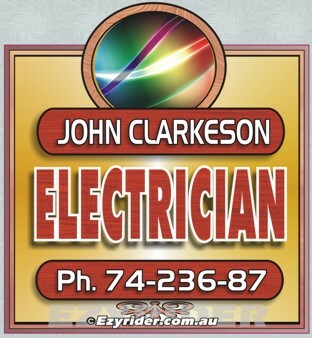 So you are able to put it on your front fence, on your vehicle door (or modified to another size dimension) and, for use as a letter head and business card. Contact me regarding these modifications. 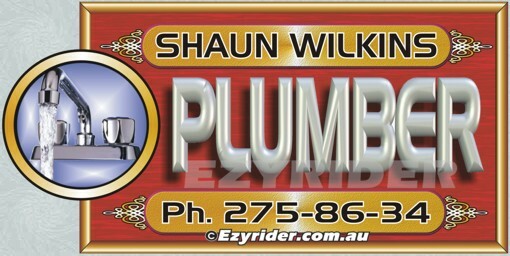 You can also request a custom made design to suit your current business position. The prices below are for the sizes indicated with your details. Each sign is 'cut out' to the shape indicated and suitable for outside use. Artwork is emailed to you before work commences. You can also ask for a different size, or a custom made product, or a different design. Please contact me with any query. 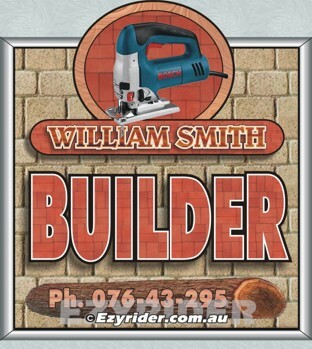 These 4 "Builder" signs have been designed with the raw-materials involved in building. The gold and rosewood design adds a bit more quality look. Note how the chrome frame goes well with a lighter coloured brick. The pictures give life to the design and are an intrical part of 'noticeability'. 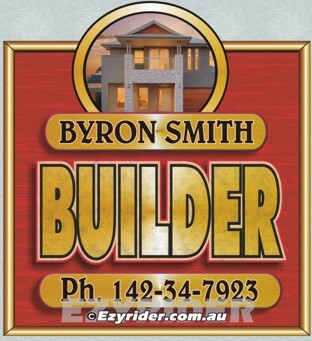 The 'Builder' lettering style is a block style: Easily read and pertaining to the solid structure of building. 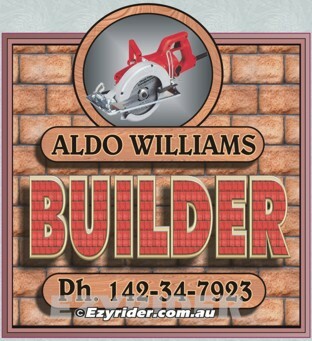 It's possible to change the dimensions of a design as per 'Aldo Constructions'. 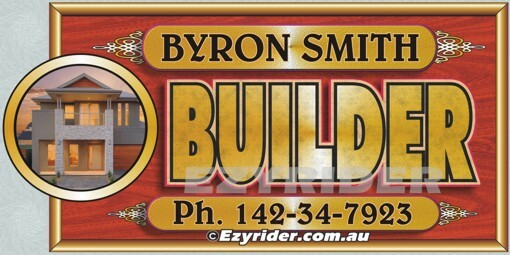 A rectangular sign may be more suitable for your location. Looking at a vehicle view the sign design can fit onto the tray. 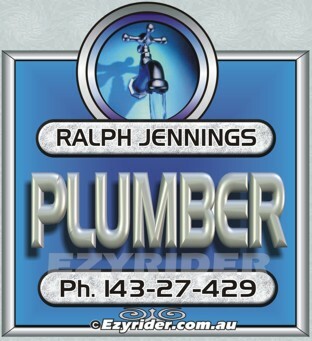 One of the main considerations in designing these plumber signs was the lettering. 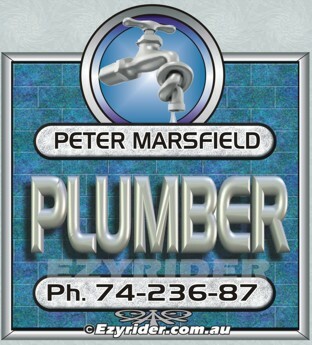 I have chosen a 'pipe' type feel, 3D lettering and chrome with the finish. 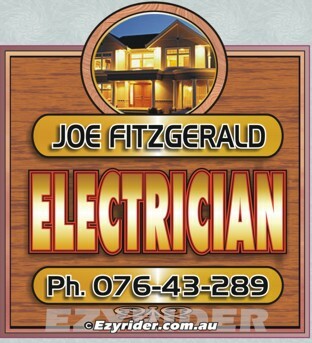 Each sign features this style as it fits in well with the overall design. From a cold water blue design to a hot water red/gold finish. 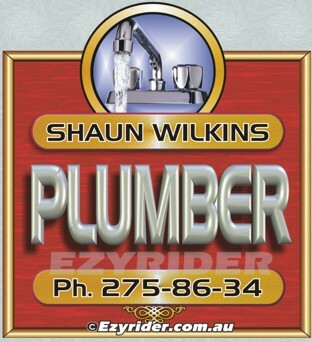 The pictures are clear and concise, not busy, and sets off the visual for a 'plumber-trade'. The above shows how a particular design can be modified to suit a different location. Say, on a building or the side of your vehicle. Changing this design gives it another feel. Size 600mm x 1200mm. 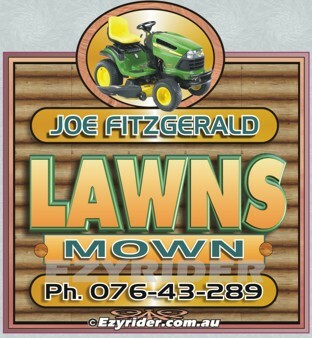 The 3 'Lawns' signs were designed with three elements: Landscaping, grass and outside. Thus making each design a different background colour. The lettering was kept the same in these 3 designs: Yellow for sun and green for grass. 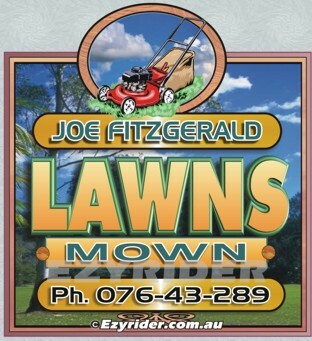 Each picture tells a story and highlights the atmosphere that lawn mowing portrays. Notice how the block style lettering is easily read and noticeable. 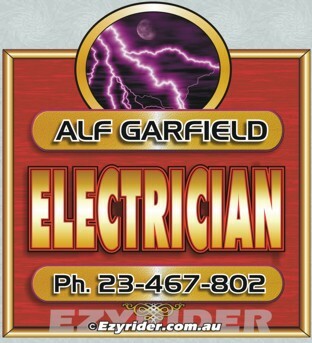 There is both a quality and brightness about these 'Electrician' designs. I have tried to capture the 'heat/power' of electricity, together with a brightness of light. With three different lettering colours and three different borders and four different backgrounds; they all have a uniqueness about them. 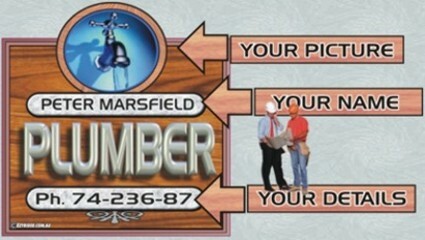 Again the use of a block lettering style was important for readability. Notice the decoration at the bottom of each design - a finishing touch. Each particular design can be modified to suit a different location. On a building or the side of your vehicle.